In an earlier blog post I explained how to customize a SharePoint form with InfoPath. In this article I will go into more depth and give some additional comments on InfoPath and SharePoint forms. The demo below shows how to create an InfoPath Form Library in a SharePoint 2013 site and how to add a form to it. 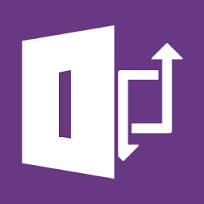 With InfoPath Forms Services, which is part of the Enterprise versions of SharePoint 2010 and 2013, you can manage forms and form templates in a SharePoint site, and users can fill out these forms in any web browser. They don't need to have InfoPath installed, and they don't have to download anything. InfoPath forms store data in XML files, so compared to list forms they are more flexible but they also require more knowledge. List forms store the data directly in a SharePoint list, so data can only be saved to that list, but data from an InfoPath form can be saved to various locations. This means that users can publish their filled out form to any admin specified location by just pressing a submit button. In my demo I also show you how to specify where the data should be stored. 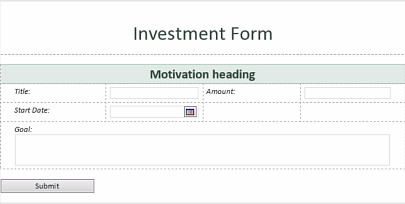 In my tutorial I have used a form for investment suggestions as an example. Here users can fill out the name and the cost of the suggested investment and select a proposed start date. They can also express in free text what goal the investment will help them to achieve. All suggestions submitted via this form will be gathered in a document library, where the manager can set an alert for new additions. With a SharePoint library view that displays the relevant columns it is easy to review the suggestions, and in the video below I also show how to create such a view. In the kalmstrom.com Tips section you can find the same demo as below but also a downloadable step by step guide. There everything I do in the video is documented with text and screenshots, so that you can use it as a first exercise. After that I hope you will able to expand the use of InfoPath forms and libraries to suit the needs of your organization. Good luck!